Glitter takes a make up look from 0-100 in .5 seconds. 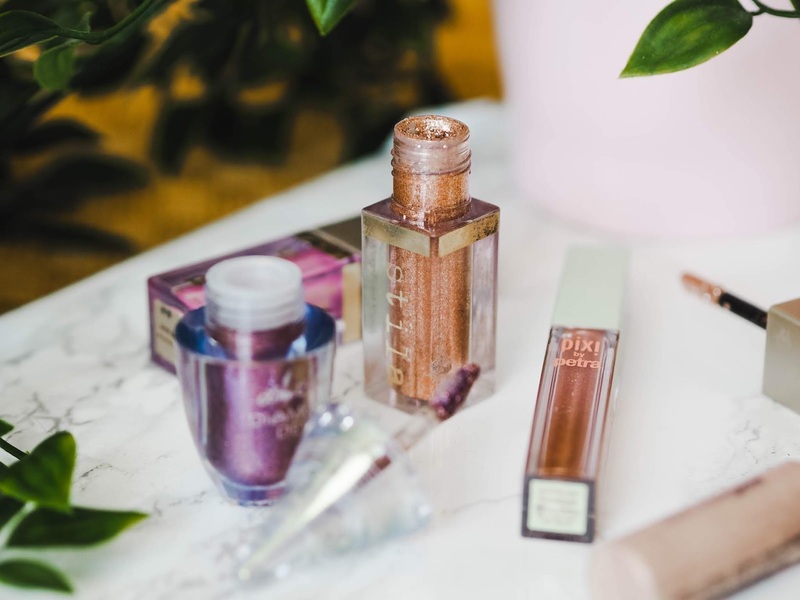 Gone are the days of faffing about with loose glitter, having to douse the brush in setting spray only to have the glitter fall all over your face. The same glitter that lingers weeks after you use it. Or the glitter pressed into the pan that promises to stick around when in fact it doesn't, it crumbles off after 30 seconds. 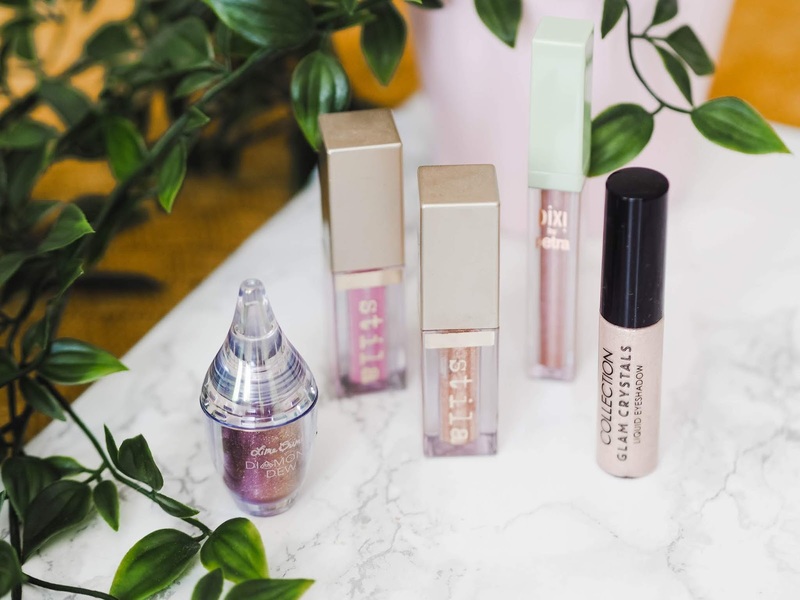 Thanks to the launch of the Stila Glitter and Glow Liquid eye shadows, brands everywhere are popping up with their own versions. Promising to deliver the statement look of glitter with the ease and longevity of a liquid shadow. I'll save you the dejavu of re-gurgitating my review of the stila shadows. If you missed it, I have a full review here - Stila Glitter and Glow. 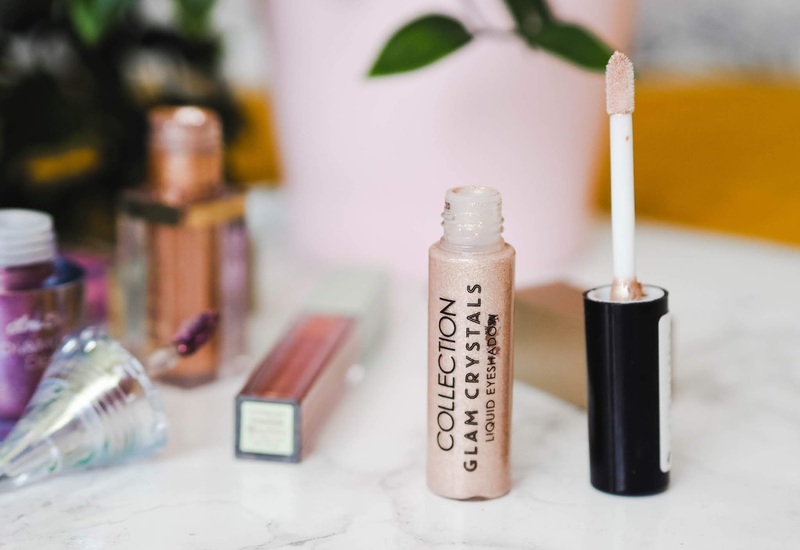 I'm kicking things off with the most affordable option I've seen - the Collection Glam Crystals. 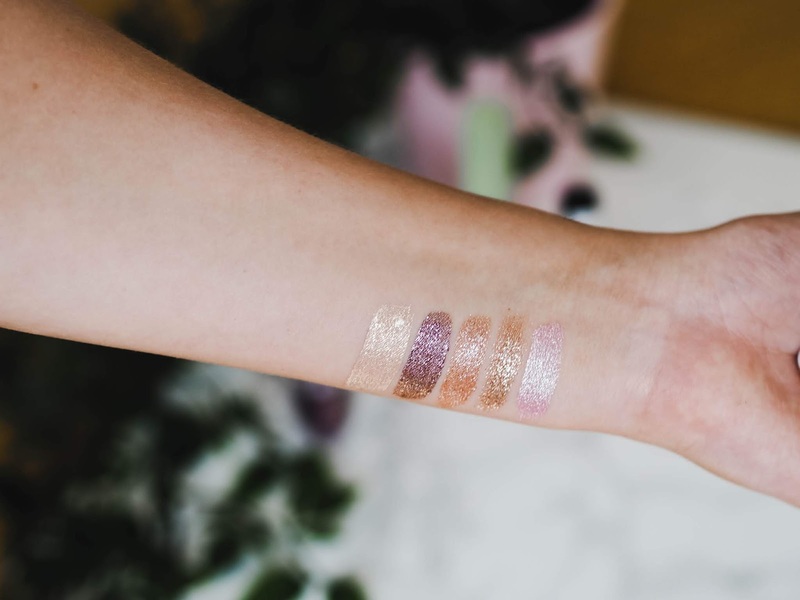 The shade Aura is the only one in this range that has a similar dazzling finish to the Stila ones. It's a champagne gold, with gold reflects. This looks gorgeous pressed around the tear duct for an intense inner corner highlight. The only downside with it is that it can be quite patchy upon application, it doesn't glide on as nicely as others, then again you're only paying £3.99. Then, with a slight price increase, we have the Pixi Liquid Fairy Lights - £15. Instantly you'll notice how much smoother these are compared to the Stila, there's less glitter in the formula and less pigment over all. The shade RoseGold is almost identical to Kitten Karma albeit slightly warmer, perfect for blue/green eyes. Finally we have the Lime Crime Diamond Dew. 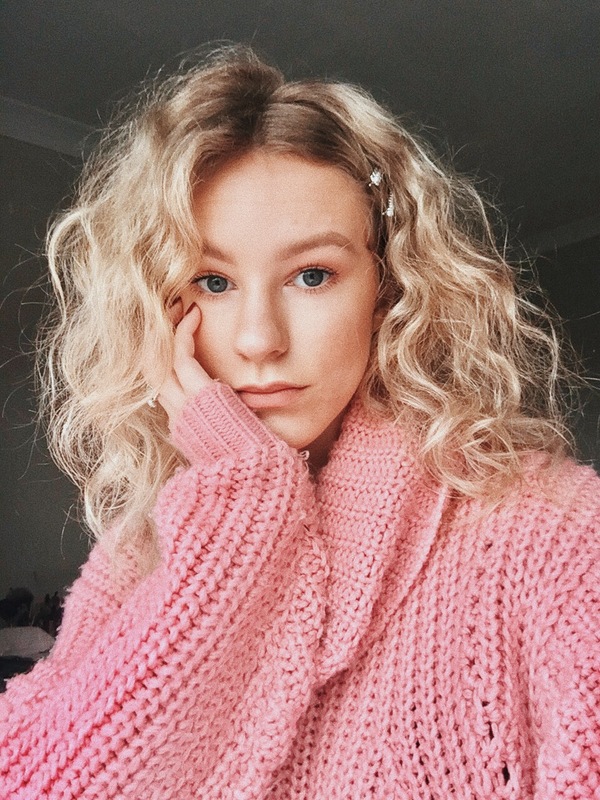 I saw this unusual shade on Kasiebeauty.co.uk and was instantly drawn to it. It'd say it's a sparkly duo chrome, in some lights it pulls purple and in others more bronzey. I don't own anything like it. The packaging is also very unique however it's impractical, the handle is fiddly and hard to hold whilst applying. This is £16 a pound more expensive than Pixi but the formula I'd say is quite similar.